Launched recently in the US, Unibet is already among the most promising sportsbooks operating in the USA. 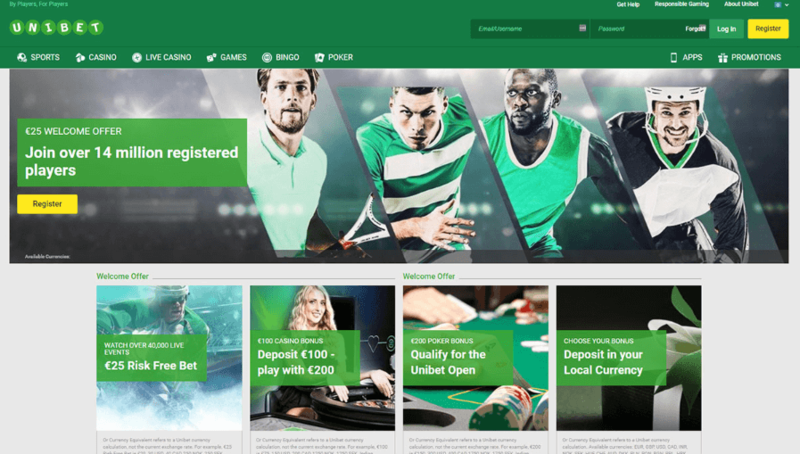 The New Jersey version of the site is set to launch soon, therefore, take a couple of minutes of your time and read through this comprehensive Unibet review of the international site to learn more about the brand. Bonuses and Promotions coming soon! Unibet has a long history of providing high-quality services to players across the globe, starting from the UK where it officially launched its services. In this Unibet review, we will be focusing on the various bonuses that you can claim, sports betting options, casino game choices as well as the quality of customer service they have just in case you need assistance. Here we go! Many bookies that are already operating in the US provide a welcome offer as a token of gratitude just for signing up. While we went on with our Unibet review, we uncovered different offers for different gaming sections of the site. The Unibet Sportsbook offers a free bet welcome bonus to all new players who create an account via the bookie. On the other hand, the Unibet Casino also offers a welcome bonus of 100% matched deposit reward. And if you sign up at Unibet poker, you will receive a progressive playthrough gift in the form of funds just for joining. You should, however, remember that like the international site, Unibet NJ has bonus terms that you must fulfill if you are to cash out your bonus money after claiming the reward. To know more about the terms of any of these promotions, you will have to visit the Unibet USA website once it is live. There, you will likely be able to find information on how to register at Unibet in case you need help with that as well. However, you should know that there’s no Unibet promo code yet for claiming the new player offer. During our Unibet review, we were impressed to find that there are lots of betting markets and a wide range of sporting events for you to choose at Unibet Sportsbook. As we continued with the Unibet Review, we noticed that the international site mostly features sports events that are popular in the US. And other than US favorites like American Football, Hockey and Basketball, you will also be able to wager on other sporting events like Ice hockey, Cricket, Volleyball, Golf, Chess, Cycling and Rugby. We also realized that eSports fanatics have a dedicated eSports betting section where they can quickly catch their favorite games and bet on them with some generous Unibet odds. We believe that it is going to be no different with the NJ bookie. So far, live streaming and live betting are among the newest sports betting features that have revolutionized online betting in NJ. So, if placing bets in real-time is your thing, the Unibet live betting is available for that. 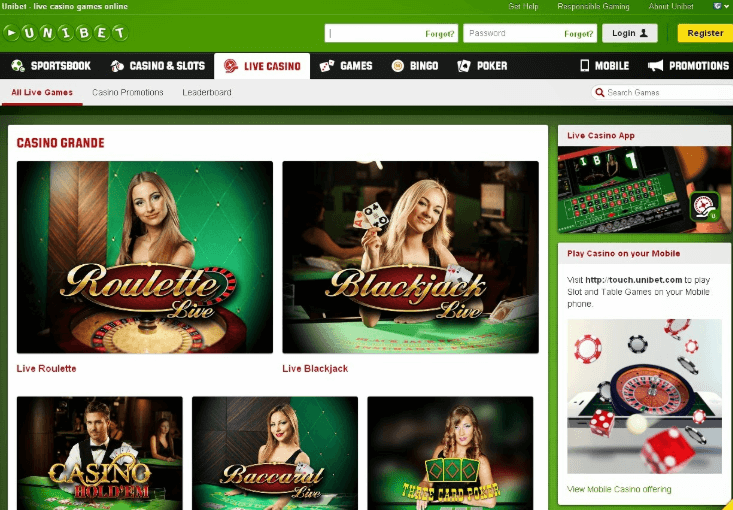 What also enticed us in the course of our Unibet review was the fact that we discovered a Unibet tv Live Streaming section where players can watch ongoing sports games right from the site. We hope that the same service is going to be available once the NJ bookie is live. Are you a fan of casino games? If you are then the Unibet online casino lobby will blow your mind. For starters, the platform is powered by some of the finest software providers in the online gaming business. In our Unibet review, we came across names like Microgaming, Net Entertainment and WMS, which are the most dominant software providers. As a result, you should expect nothing but high-quality games across different categories. Slot machine enthusiasts here are the luckiest since there are hundreds of action-packed options available at their disposal. Table and card game pundits will also have a good time enjoying Baccarat, Roulette and Blackjack games, all coming with some fast-paced variants. For poker, there’s an exclusive Unibet Poker platform dedicated for those who like flipping the cards. If you love betting on the go, then you will relish what the mobile section is offering. 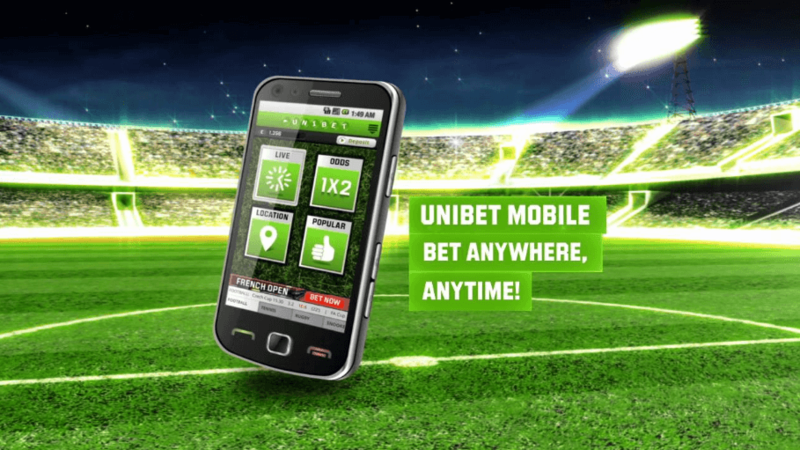 Because of the availability of the Unibet mobile app in both Android and iOS devices, many players can access the site through the mobile app without feeling left out. In our Unibet review, we also noticed that just like the mobile site of the sportsbook and casino, the app is also straightforward to use with easily accessible icons with touch and swipe navigation gestures. We believe that there is going to be a special version of Unibet mobile app available for players from New Jersey. There are numerous payment options accepted in both Unibet Casino and sportsbook; they include; Credit cards like MasterCard, Visa, and Maestro. The bookie also accepts e-Wallets such as Neteller, Skrill, and PayPal to offer maximum convenience. The bookie has a 24/7 customer service dedicated to helping everyone in need of assistance. You can reach them via mobile phone and email. Also, they have an extensive FAQ section of both the sports, casino and Unibet Poker client that you can always refer to if you don’t feel like contacting support. It is certain that the New Jersey version of the site is going to be equipped with all the same tools. From our Unibet review, there’s no doubt that Unibet is one of the best betting sites around the globe. Players have access to a wide range of sports with favorable betting odds on the sportsbook and casino gamers have a massive variety of gaming options as well. Even though there’s no Unibet bonus code at the moment, we hope that there is going to be one once the New Jersey goes live. Why don’t you read our dedicated Unibet reviews for the sportsbook and casino sections for exclusive tips and picks that will help you get started? MLS 2019: Can Atlanta Repeat as Champions?